The College of Agricultural Sciences welcomes the new Agbassadors team for the 2015-2016 semesters. 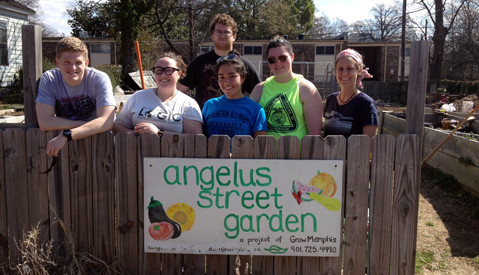 Students volunteered to participate in social service and/or environmental justice activities as part of the Alternative Spring Break. The Lifestock Judging Team headed to Denver, CO for its first competition at the National Western Stock Show, January 15-16, 2010. The team scored a 10th place in the "carload-judging event." 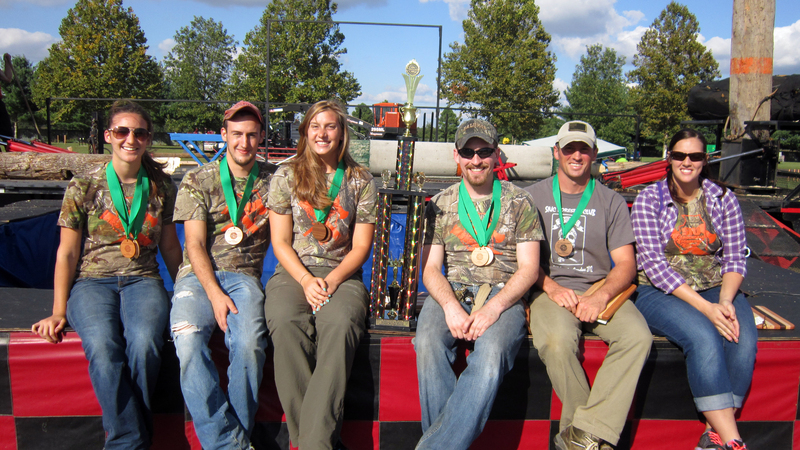 And junior, Ryan D. Kinney (Animal Science), won top overall in the "carload-judging" competition. Ryan Orrick, team coach, commented, "That was a special honor. It was the highlight of the trip." Other team members representing SIUC included: Lauren Evans (agribusiness economics), Derek Moore (agribusiness economics), Karra Kirby (animal science), Donna Drebes (agribusiness economics), and David Strathman (animal science). Under the leadership of SIUC graduate student Ryan Orrick, the SIUC Livestock Judging Team has a new start. After the team was dropped over two decades ago, Orrick is resurrecting the program. Cornman qualified to attend the National Championship for the Intercollegiate Horse Show Association. The event was held at the Los Angeles Equestrian Center in May 2008. Although Cornman didn't place at the event, she looks forward to saddling up for the Equestrian Team for next season. Two students from the SIUC chapter of Minorities in Agriculture, Natural Resources and Related Sciences placed in a national competition in Birmingham, AL in April. The SIUC Horse Judging Team was formed in August, 2006 after a group of student approached Dr. Gary Minish, Dean of the College of Agricultural Sciences, and persuaded him to put together the team. Stephanie Speiser, an Animal Science Instructor, took on the challenge of putting together the eight-member team. Upon attending its first competition in Oklahoma City in mid-October, the group brought back 19 shiny new ribbons for their accomplishments. Members of the Agricultural Education Club worked to create a living memorial in memory of one of their fallen classmates, Kara L. Gruenenfelder.